A study by the University of Aberdeen has found that a higher concentration of the molecules that breakdown omega-3 fatty acids is associated with a higher chance of survival from bowel cancer. This is the first time that molecules associated with the breakdown of omega–3 and omega-6 have been associated with survival in bowel cancer. The study, published in the British Journal of Cancer, measured the proportion of the enzymes responsible for the metabolism of omega-3 and omega-6 fatty acids in tumours found in bowel cancer patients, and compared it to the patient's survival. Results showed that a higher proportion of omega-3 metabolising enzyme to omega-6 metabolising enzyme is associated with less spread of the tumour and a greater chance of survival for an individual patient. Omega-3 and omega-6 fatty acids are polyunsaturated fats that are thought to have opposing effects on health. This study looked specifically at the enzymes responsible for breaking down omega-3 and omega-6 fatty acids and their relationship with survival in bowel cancer. Professor Graeme Murray who led the study explains: "There is big variation in how people survive cancer of the large bowel and how they respond to treatment and we don't know what makes some people respond more favourably than others - this is what this research is trying to establish. "The molecules or 'metabolites' that arise from the breakdown of omega-3 - prevent tumour spread and we assume that with more of the enzyme that breaks down omega-3 there will be increased metabolites of omega-3, and this will limit tumour spread. The less a tumour has spread the better the outcome. The converse is true for omega-6 metabolising enzyme – such that a higher proportion of omega-6 metabolising enzyme compared to omega-3 could lead to a worse outcome for the patient. 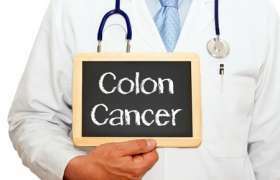 "Prior to this study we did not know that such a relationship existed between these enzymes and survival in bowel cancer. "Our findings are important because it highlights a new pathway for understanding survival from bowel cancer."